The London based group, the Swingle Singers, will perform at 7:30 p.m. Tuesday, Oct. 14, in the Visual and Performing Arts Theater at OCCC. The Swingle Singers is an a cappella group, meaning the singers use only their natural voices without any accompanying musical instruments. Cultural Programs Director Lemuel Bardeguez said the Swingle Singers are outstanding. “They are one of the original groups that do a cappella,” he said. The Swingle Singers have been around for 50 years. Bardeguez said this year is the group’s 51st year together and they will be touring in the U.S. for a limited of time only. The Swingle Singers are superior to many other a cappella groups, he said. 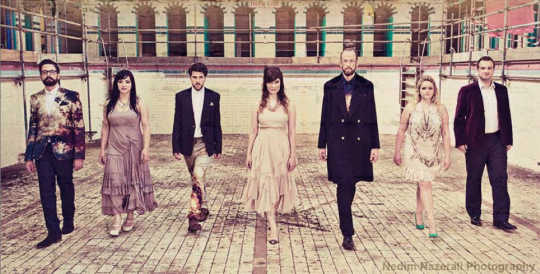 “The Swingle Singers have more depth and musicality,” he said. “The group that is singing right now is a mixed group comprised of seven men and women. The audience is in for a treat, Bardeguez said. Ticket prices are $45 and $35 depending on seat location. Leftover seats will be free to students, Bardeguez said. An e-mail message will be sent to students letting them know they have an opportunity to get a free ticket. For more information, call 405-682-7579.